You have 3 options Yes , No and Remind me Later. 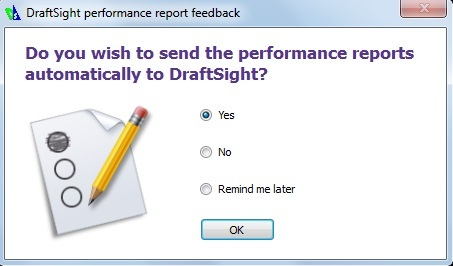 If you wish to automatically send performance reports to DraftSight to improve performance then select Yes or else other options. A. 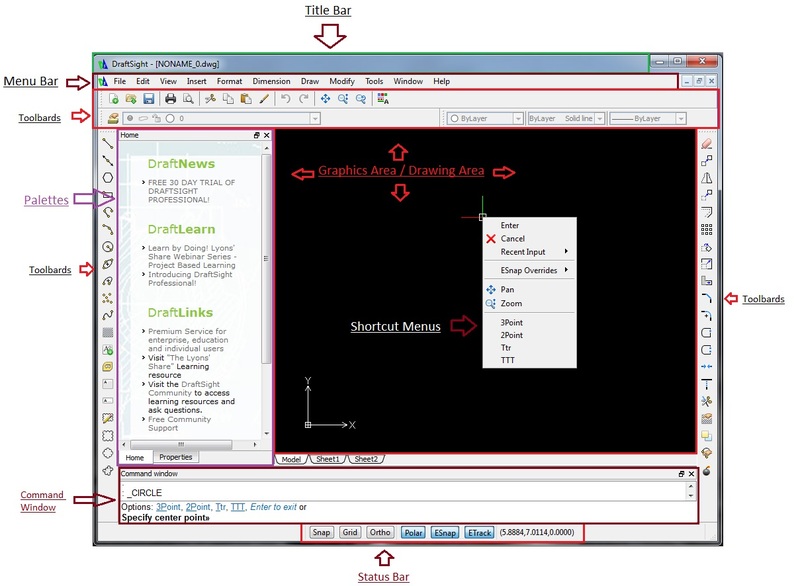 Title Bar: It Shows name of your open and active Drawing file with file extension such as dwg, dxf etc. B. Menu Bar: This will open list of command tabs list associated with Menu as below. 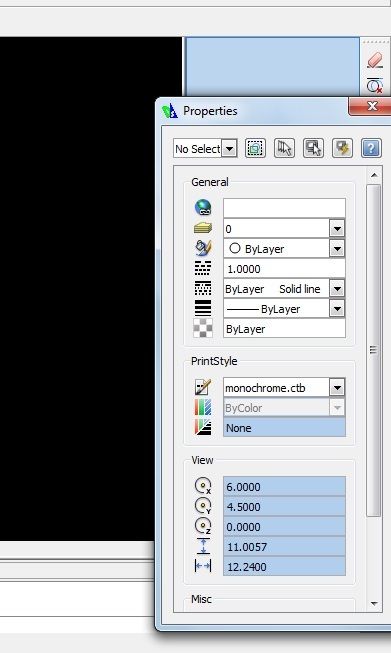 C. Toolbars and Palettes Menu: Press right click anywhere on Blank space of Toolbars or Menu , it will open show options for Toolbars and Palettes show and hide (This is not shown in above user interface image). Palette:There are different palettes available in DraftSight such as ‘Home’, Properties ,References , Lighting , etc..
By default palettes are docked to left side of DraftSight window. You can dock it to right side also. First un dock palette, then Ctrl+ Select Title of palette and Move it to right side of DraftSight window till you will see docking position and background color is highlighted where this palette will be docked as below. When you will see this background highlight then release Ctrl and mouse selection . Palette will be docked at that position. We can type commands and Options in Command line. 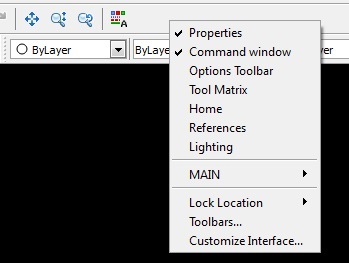 Command window shows history of commands and options. You can undock command window by double click on Title. When you close command window then a message box pop up as below: Press Ctrl+9 to open command window. To view command History window in detail press ‘F2’ This will new open Command window with larger view.